Fusing Pasifika traditions with a modern urban vibe, Hawaiian culture is unique, welcoming and unforgettable. Aloha! From the moment you land in Honolulu, you'll hear this warm-hearted greeting and know you're in a place that values its culture and wants to share it with visitors. There are a thousand ways to immerse yourself in the Oahu story, so here are some highlights to help you explore Hawaii's unique history and cultural values. In the middle of downtown Honolulu, history is preserved in the only royal residence on American territory. For your first and easiest cultural experience, hit the beach. Surfing was born on these islands and it's called 'the sport of kings', because it was once reserved for royalty and nobles. Ancient Hawaiians referred to the art of surfing as 'heʻe nalu', which means 'wave sliding' in English. In the early 1900s, Duke Kahanamoku revitalised and popularised the sport at Waikiki, his local beach. His statue at the southern end of Waikiki welcomes today's surfers. If you dream of riding the waves, there's no better place to learn than Hawaii. To see the best, head to Waimea Bay, Sunset Beach and the Banzai Pipeline on Oahu's North Shore. While you're there, check out the popular North Shore eco tours for a taste of Hawaii ecotourism and cultural adventures. From earliest times, Hawaiian people have celebrated special occasions with banquets, music and dance. These parties became known as 'luau'. Like many Hawaiian culture traditions, they continue today with friends and family to mark birthdays, weddings and other life events. It's practically state law: you can't leave Oahu without attending a luau, feasting on poi (taro root), pig cooked in an underground oven, and coconut pudding. 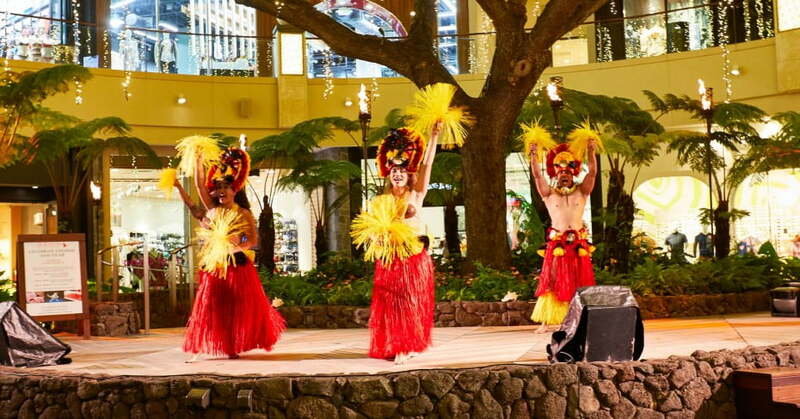 While you're feasting, you’ll be entertained by the hip-swaying hula and the strum of the ukulele. In the middle of downtown Honolulu, history is preserved in the only royal residence on American soil. Built in 1882, Iolani Palace was home for the island's last monarchs and today it's one of the most popular historical landmarks in Hawaii. Meticulously restored to its former grandeur, the palace is open for public inspection. You can visit the royal family's grand halls, throne room and dining room – even the 'imprisonment room' of luckless Queen Liliuokalani, deposed in 1893. The island's most infamous encounter with history was the attack on Pearl Harbour naval base on 7 December 1941, which led to the USA entering World War II. Now one of the top Oahu historic sites, it has largely been preserved as it was on that fateful day. 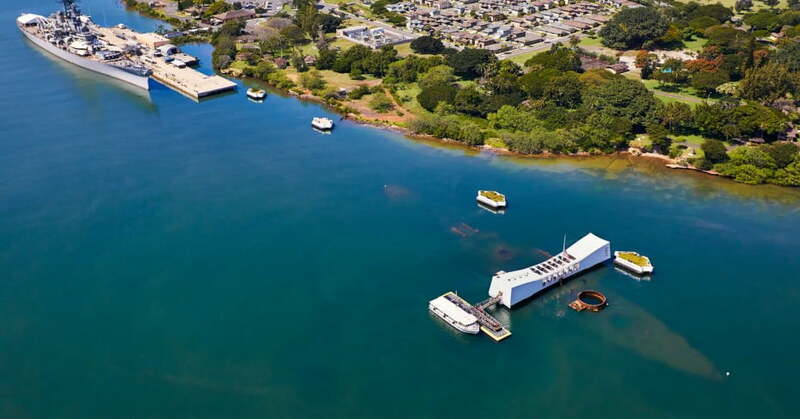 As a visitor, you'll see and hear respectful displays that explain the event and be ferried to the simple, sacred, restrained memorial over the sunken battleship USS Arizona. Oahu doesn't live on its memories alone. Honolulu's hippest neighbourhood is Kakaako, an up-and-coming suburb of fine-dining and street food, artisan shops and apartments. 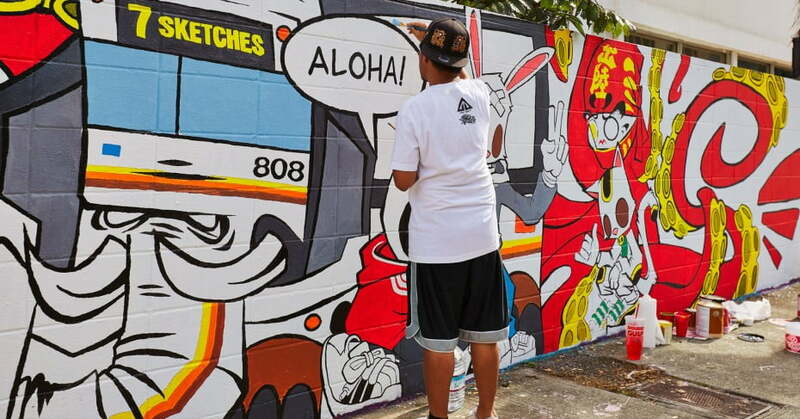 Part of Kakaako, the SALT precinct is being developed as a pedestrian-friendly city block with curated shops, eateries and art spaces, as well as a growing gallery of murals that draw on island themes while speaking to Oahu's modern urban culture.